Actively seeking new acquisitions in 2015! Top prices paid! Honesty and integrity. 28 years in business. Will travel anywhere in the US, UK, and Europe. Superworld Comics is always buying individual comic books, entire comic book collections, and original comic book art. We are most interested in comics from the 1930’s through the 1970’s, and comic book art especially from the 1950s-1970s. We have a large cash reserve available at all times for immediate purchase. 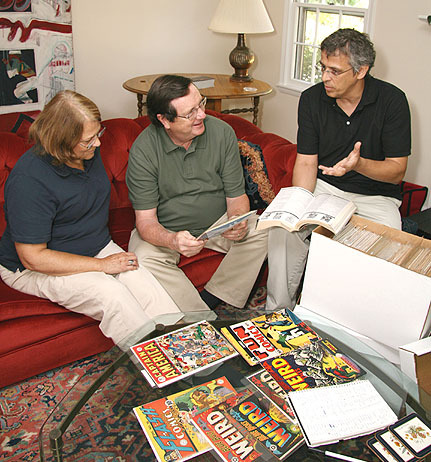 Ted VanLiew is one of the topmost experts in evaluating and grading your comic collection whether it be for sale or insurance appraisals. He will be happy to travel to meet with you and always gives your collection the time it deserves. You spent years collecting! Make sure you get the best price for your comic book investment!